Adjustable height from 18" - 25"
1 Year Warranty Skyline Beauty & Spa Products, Inc. (“Skyline”) conditionally warrants your pedicure spa (the “Pedicure Spa”) in accordance with the terms and conditions set forth below for a period of one (1) year commencing on the original date of shipment of the Pedicure Spa to you. The warranty only applies to the Pedicure Spa’s original end-user owner or customer (the “Customer”). This Conditional Warranty is non-transferable and replaces any warranties previously published by Skyline. If examination of the Pedicure Spa by Skyline during the applicable warranty period shows it to have a defect in material or workmanship, Skyline will, at its option, repair or replace the defective component or part thereof. Further, Skyline may, at its discretion, replace a defective component or part with a refurbished component or part, or may replace the Pedicure Spa with a refurbished pedicure spa. If Skyline elects to replace the Pedicure Spa, the replacement pedicure spa must be comparable in style and size to the Pedicure Spa. The Customer shall bear all charges incurred for the shipment to it of replacement components or parts, or a replacement pedicure spa, and the cost of all labor incurred in repairing defects in the Pedicure Spa or repairing or replacing any of its defective components or parts. • to damage resulting from a person standing in the Pedicure Spa’s basin or other similar stress to that basin. • to damage incurred to the Pedicure Spa while in possession of any party other than Skyline. • the Pedicure Spa being installed by a licensed professional in accordance with Skyline’s installation instructions. • the proper use of cleaning and sanitizing solutions in accordance with the instruction labels provided by Skyline. Repeated use of concentrated chlorine or other chemicals will void this limited warranty. • avoidance of the use of ionic detox machines that submit any metallic part to reverse electroplating; this use will destroy plated parts and void the warranty. •If the Pedicure Spa is removed from its place of initial installation. additives or improper water treatment. • If the Pedicure Spa is removed from its place of initial installation. 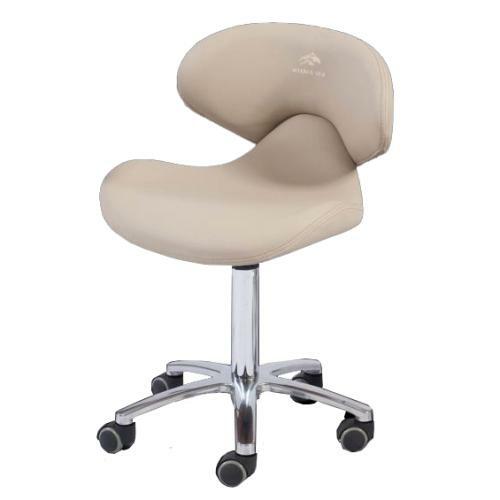 • to staining, fading or discoloration of the Pedicure Spa’s upholstered seat, armrests or footrests. • to malfunctions or damage caused by improper installation of the Pedicure Spa, including, but not limited to, failure to meet local, state, or local plumbing, electrical and building codes. • To the Pedicure Spa, or any components or parts thereof, if subjected to misuse or neglect or if accidentally or intentionally damaged. •To the Pedicure Spa, or any components or part, if altered or modified in any way. • To any expenses incurred by the Customer or any third party, including labor or material, during investigation, removal or reinstallation of the Pedicure Spa or any defective components or parts. * To any damage to or impairment of the Pedicure Spa, or any components or parts thereof, caused by any casualty, including without limitation, accident, fire, wind, floods, acts of nature or attempted theft. • To any workmanship of a fabricator (other than Skyline) or installer of the Pedicure Spa. • If damage to pump parts and/or motor parts is due to obstructed plumbing. electroplating; this use will destroy plated parts and void the warranty.